For me, the first week of June 2012 was very emotional. First of all, there was The Queen’s Diamond Jubilee. 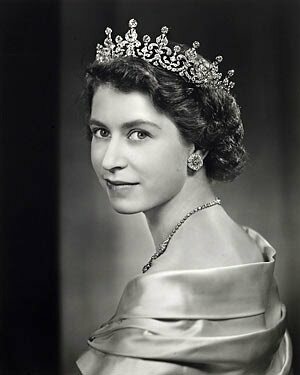 Now in her mid-eighties, Elizabeth II has been a constant presence in my life. I admired her parents’—King George VI and another Queen Elizabeth—decision to keep her and her little sister in London during the Blitz. And now I was impressed by the present Queen’s decision to go on with the pageantry even though Prince Philip, her husband of 65 years, had taken ill after the naval parade. It was actually the naval parade that elicited my strongest reaction because it emphasized the part that the “little ships,” piloted by ordinary English boat owners, played in saving Britain’s Expeditionary Forces stranded in Belgium and France. At the time I was one of the ever-decreasing number of civilians that witnessed the operation. In May 1940, my family had fled Brussels for France, attempting to escape the advancing German armies. 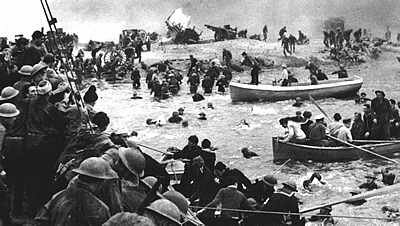 Our route, via the Belgian seacoast, was shared by millions of others, and many of us got stuck in a small pocket that included Dunkirk. There was a total news blackout in both continental Europe and in England, but the British population guessed that their boys were in trouble. Anyone who owned a pleasure boat, fishing vessel, trawler, coal barge or even a ferry sailed across the British Channel to rescue their country’s army. When I lecture to school classes about my own survival (At The Mercy of Strangers: Growing Up On The Edge of The Holocaust), I always tell my listeners that even in our power-driven society each person is responsible for their own actions and can make a difference. At the Morgan, Churchill’s image is flanked by contemporary photographs of Londoners in their shelters, bombed out Coventry Cathedral, the Churchill-Roosevelt-Stalin meeting, George VI and his queen visiting ruins, and eventually the royal family, including a young Princess Elizabeth in uniform, standing on the same balcony from which she greeted her people during her jubilee. In a different, but perhaps even more insidious way, our world continues to be engulfed in bloodshed and genocide. Where are the leaders that can galvanize the people of good will to help us emerge from the morass? This entry was posted in Uncategorized and tagged allies, belgium, brussels, diamond jubilee, dunkirk evacuation, europe, little ships, miracle of dunkirk, queen elizabeth, winston churchill, world war ii. Bookmark the permalink.